The author, a British journalist and novelist, is interested in the feel of the places he visits. 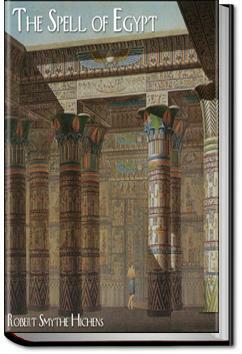 He describes at length a visit he has made to Egypt, with emphasis on the emotional response the places generate. . . .Copts destroyed; wander through the deserted courts, desirous of looking upon the faces that have long since been hacked to pieces. A more benign spirit informs our world, but, alas! Hathor has been sacrificed to deviltries of old. And it is well, perhaps, that her temple should be sad, like a place of silent waiting for the glories that are gone. The author focuses on the feel of places, not their appearance or history. So the book has an odd tone. Pleasant if that's what you are looking for, but lacking meatiness if you are wanting more history. A good starter travel memoir. The author is able is beautifully describe his emotional connections with places he visited. If only all travel books were written as beautifully descriptive as this one was!